Little England is the beautiful Greek island of Andros, in the 1930's - an island breeding sailors who spend most of their lives at sea, while some of them are destined never to return. Their women – mothers, daughters, wives, lovers - adjust their own lives to the pattern of the men's absence, looking forward to the happy yet brief homecomings, always praying for their safety, always half-dreading the worst. This is the premise of the film's story - a tragic love story of epic proportions - based on Ioanna Karystiani's best-selling book. 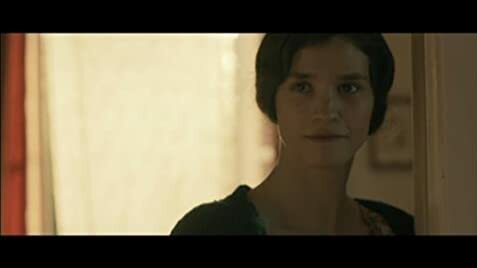 Mrs. Karystiani herself finely adapts her novel for the screen, while her husband, renowned Greek director Pantelis Voulgaris ("Brides") takes it from there and, with the help of a great cast of actors, creates an almost flawless masterpiece. (I am not supposed to give away any spoilers, so I can only say that the film's climactic scene will probably make it to my personal top ten movie moments of all time). Official submission of Greece to the best foreign language film category of the 87th Academy Awards 2015. Orsa Saltaferou: In life again, more worthy are these that you lose than the ones you find. These that you find are lost again. These that you lost exist forever.